So the year is almost over and I am sitting relaxed in the beautiful Qantas Lounge. I don’t care what the other travellers and commentators say about Qantas, it’s such an amazing airline. I am always treated so well by their wonderful staff. 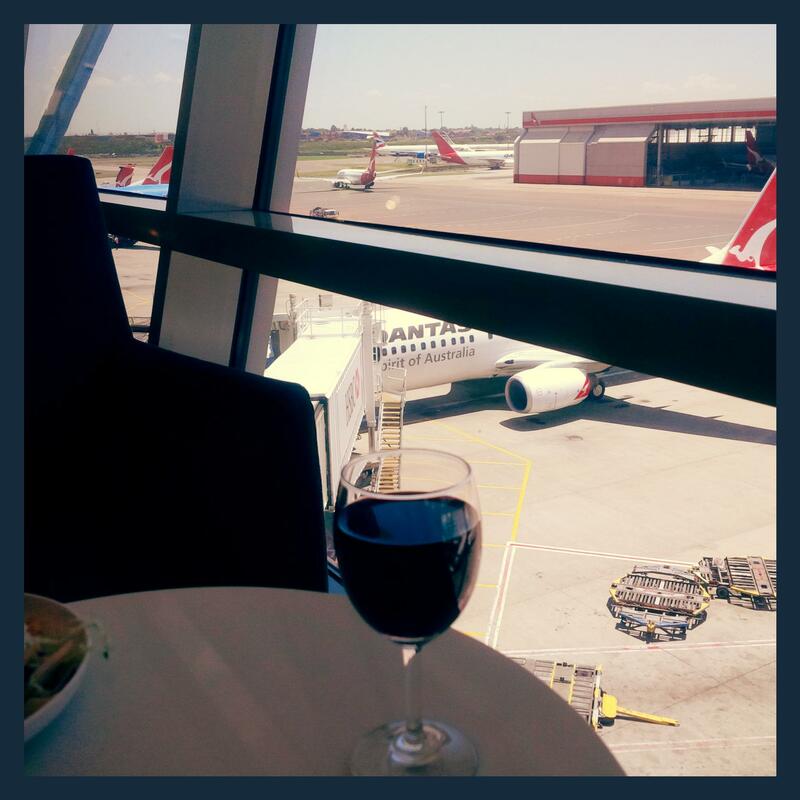 I sip my wine and relax ahead of a short flight to Melbourne, which will connect to a longer flight back to Perth. 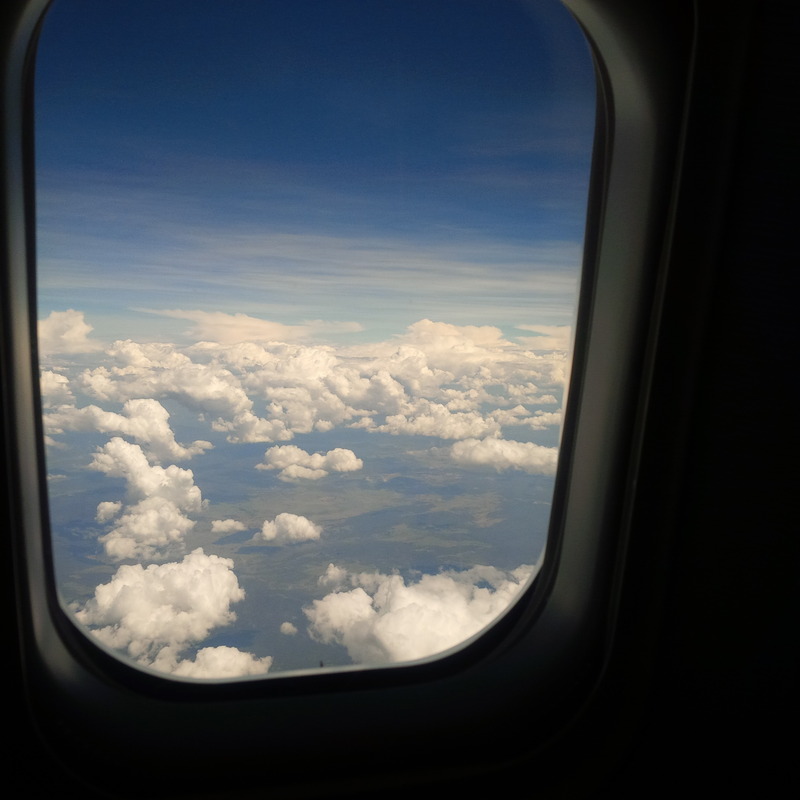 I avoid flying direct (you get less time in the air and less frequent flyer points). Indirect flights are much more fun :). Plus it’s Christmas, so the lounge is stocked with goodies. 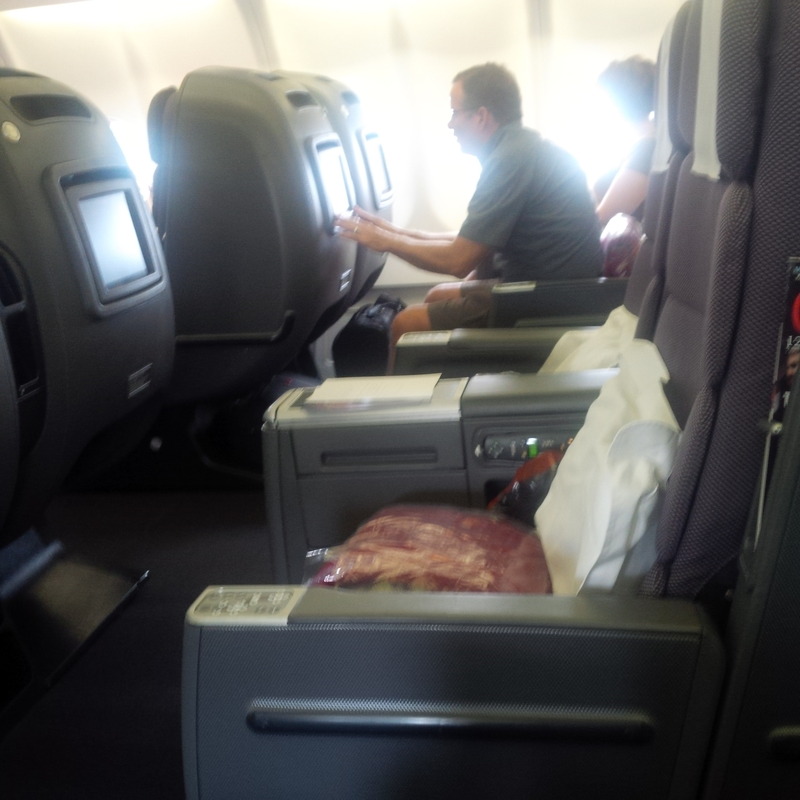 So I board the lovely 767 to Melbourne. 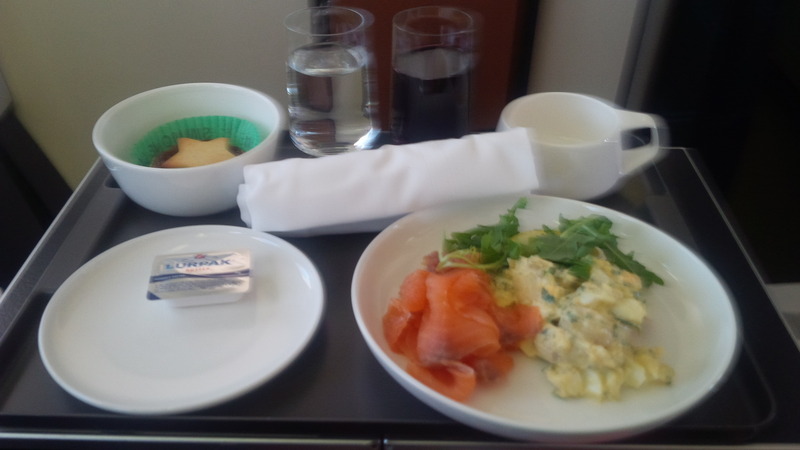 I have a quick snack of a smoked salmon with a potato and egg salad. It’s delicious. 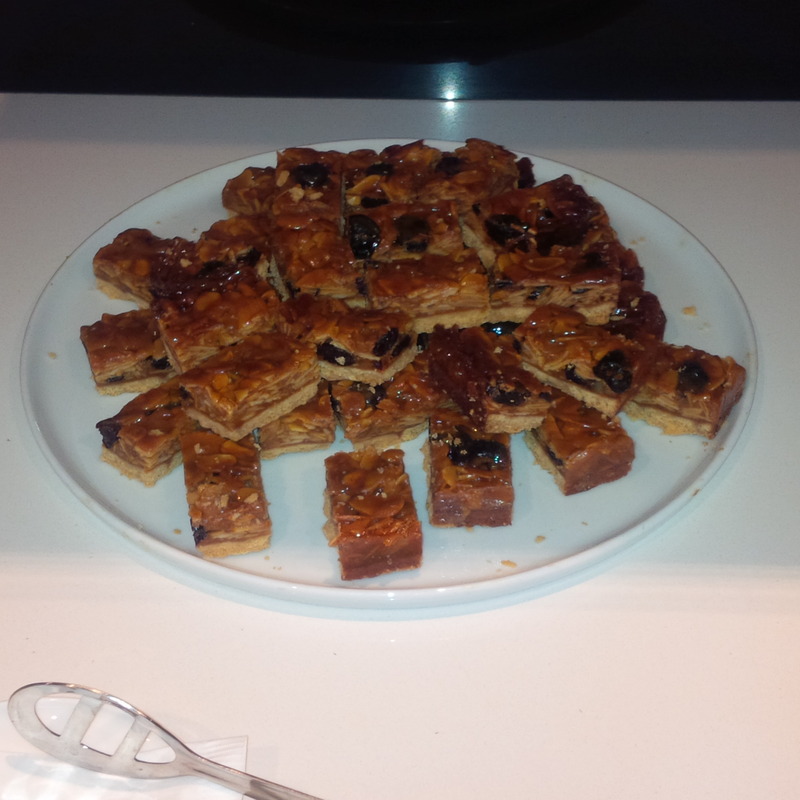 Plus there is a Simone Logue mince tart which adds the festive touch. 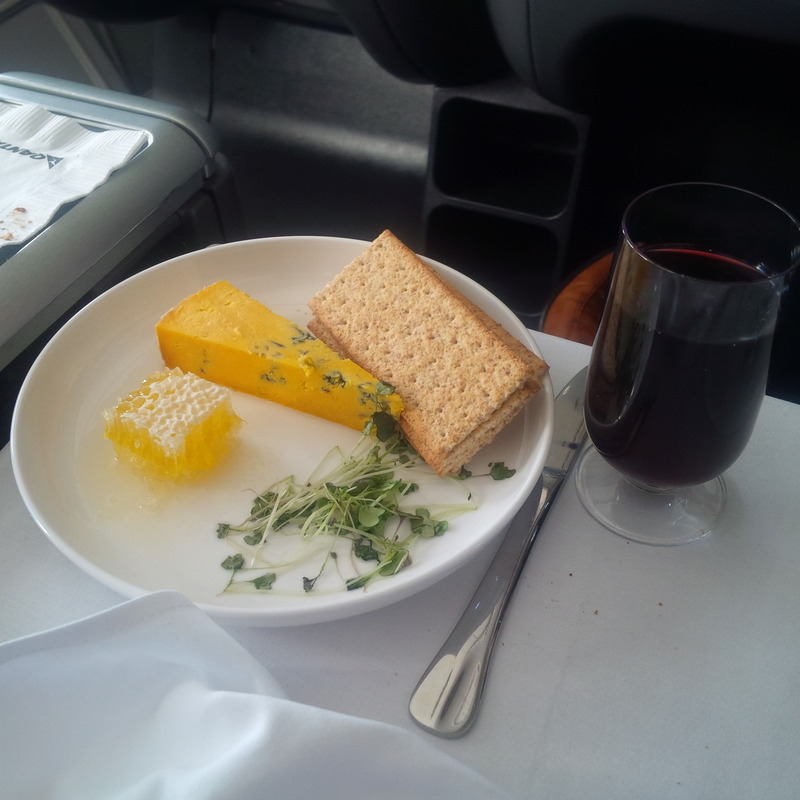 I am not sure what excites me more, the food & wine or the lovely view from the aircraft of the plane hovering over the clouds. Pretty soon we land in Melbourne and I seek refuge in the Business Lounge before my flight to Perth. I recline and relax in the lounge overlooking the runway before boarding my flight. 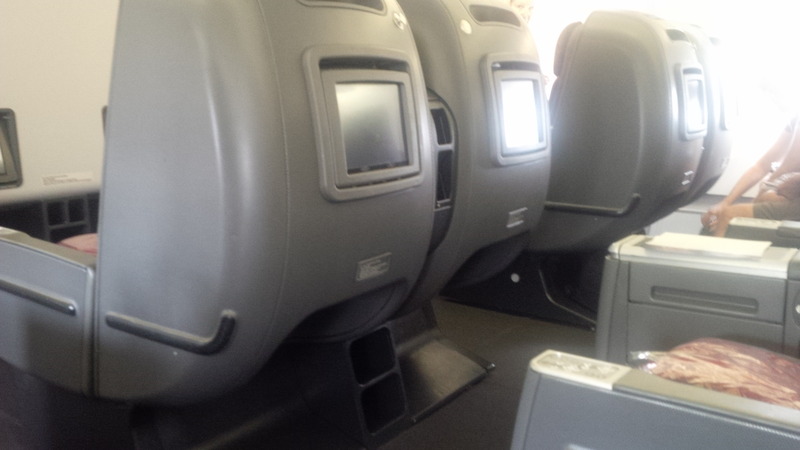 Once on board, I notice the aircraft has been upgraded to the A330-300. It’s amazing the international configuration has the Skybed – my favourite. 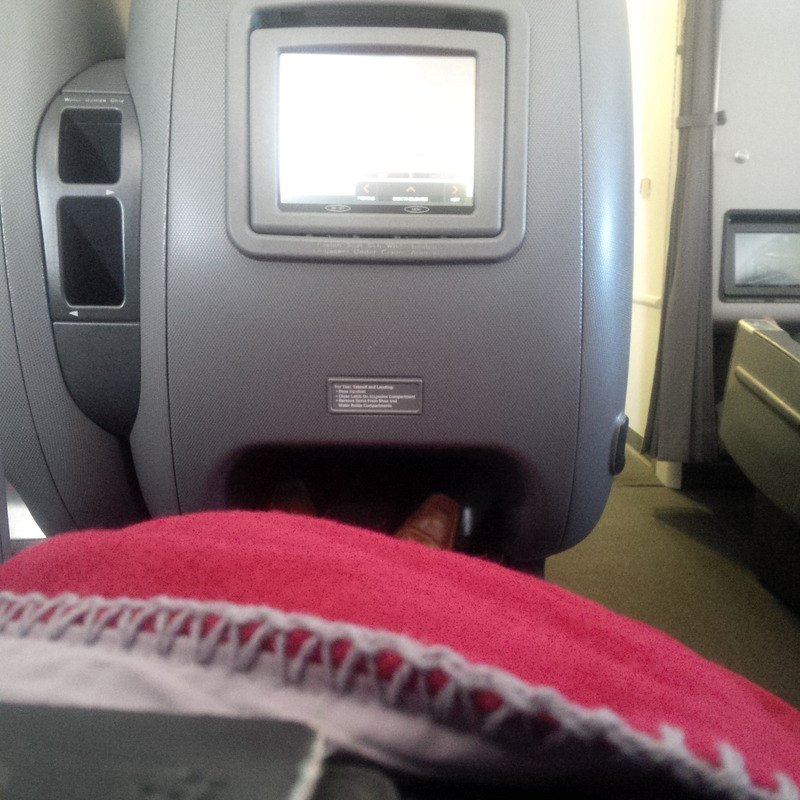 I love the recline and the whole bed in the sky comfort. 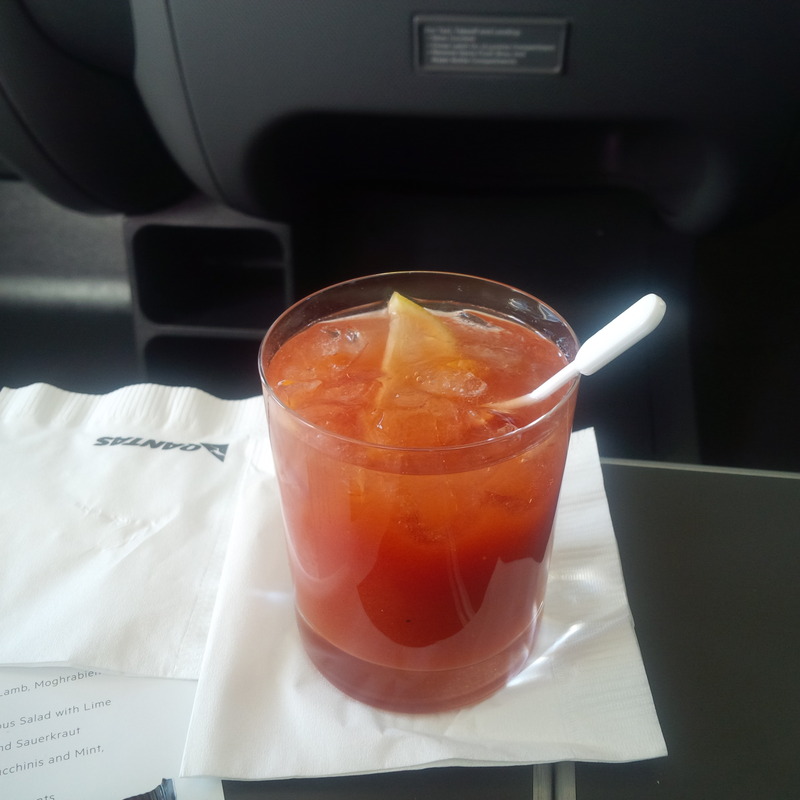 To start I have a Bloody Mary – the perfect way to start my holiday. It’s adventurous, a bit bad boy plus with the tomato juice it’s kinda healthy. 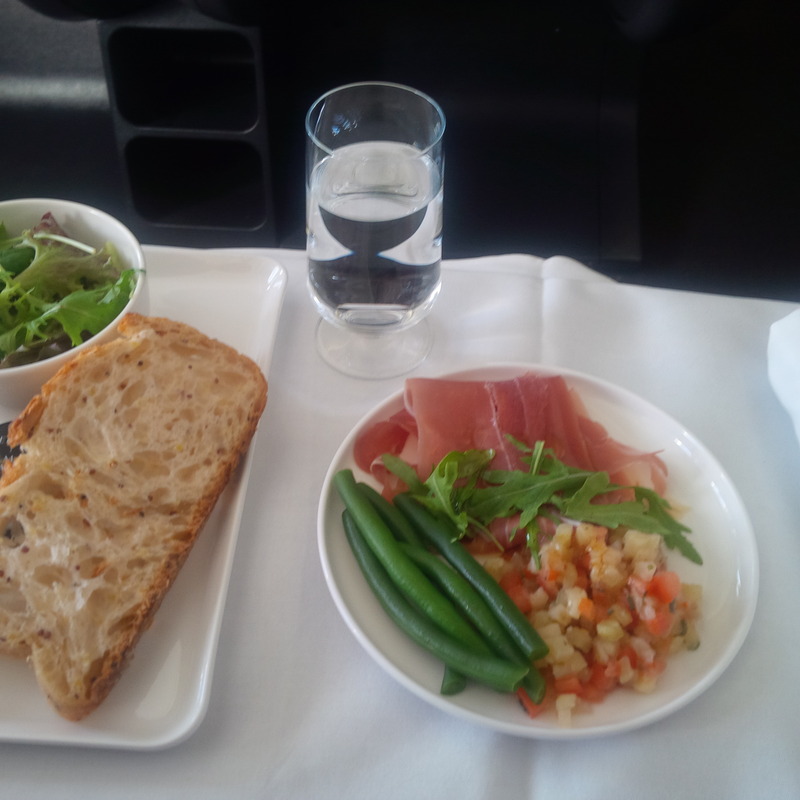 Pretty soon we are cruising at altitude and I have my starter plate of prosciutto with eggplant caviar. A simply divine dish with the right level of textures and flavours (the strong smoky prosciutto flavour nails it). 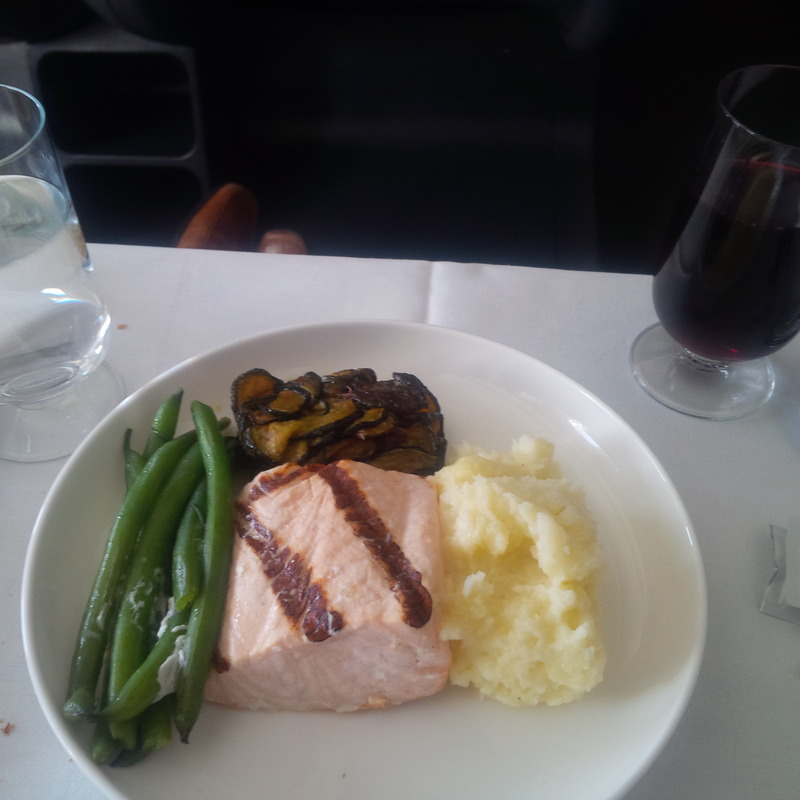 The main course is a baked salmon fillet with creamy mint mash and green beans and mushrooms. It’s amazing, soft tender flaky salmon which falls off the fork, paired with the soft silky mash with the mint after taste. The crunchiness of the beans and softness of the mushrooms prove texture and flavours go together. For dessert it’s the cheese platter. Not only is the cheddar paired perfectly with a glass of red, there is a sweet beautiful honeycomb on the side. The sweet gooey fresh distinct honey flavour and the texture of the honeycomb is a delight. It’s a relaxing flight, I finish by watching some TV and reclining my Skybed to sleep position and doze off until we land. Qantas – you’re the best start to any holiday!